These Lettuce Wraps Are Fresh, Summery, and Best of All: Fast! Lettuce wraps are pretty much the quintessential summer meal–easy, light, and super fresh. 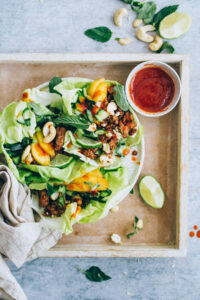 These Hoisin Tempeh Lettuce wraps are filled with crumbled tempeh, fresh herbs, and mango to make a sweet-and-savory dinner that comes together in minutes. My almost 3-year-old has become increasingly picky in the past year, so whenever I make a recipe she loves, it feels like a victory. 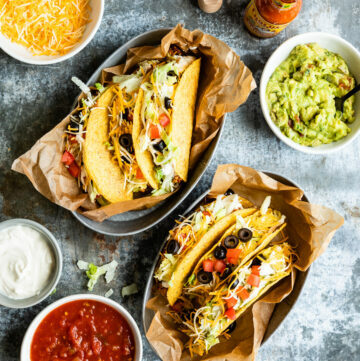 And these wraps were devoured in record time–halleloo! I’ve found that wraps, tostadas, pizzas and anything else where she can assemble her own food on her plate are always a good bet. I mean, even as an adult, I like lettuce wraps for the same reason! I tend to make lettuce wraps as a meal just because I don’t really have occasion to make them as an appetizer. 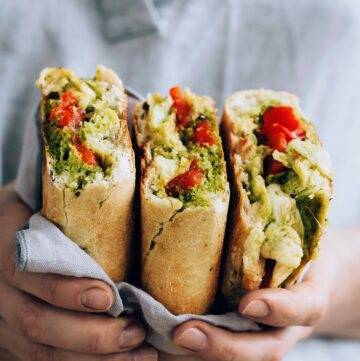 But if you’re looking for a summery vegan app for a party, this is it! And the tempeh filling is just as delicious cold, so you can pack these up into a bento box for lunch too. Side note: If you love P.F. 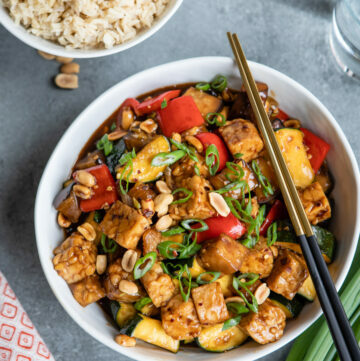 Chang’s vegetarian lettuce wraps, you can substitute the tempeh with a mixture of mushrooms, tofu, and water chestnuts–coarsely chop it all in your food processor and then follow the rest of the recipe as written. 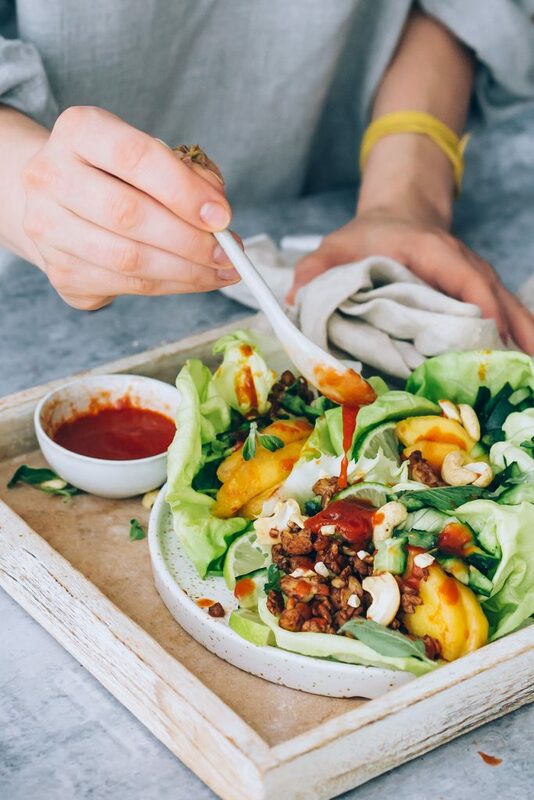 Whether you serve them as an appetizer or a light meal, these tempeh lettuce wraps are sure to be a hit. Heat the oil in a medium skillet over medium-high heat. Add the crumbled tempeh and cook, stirring often, until lightly browned, about 3 minutes. Stir in the hoisin sauce and lime juice; remove from heat. 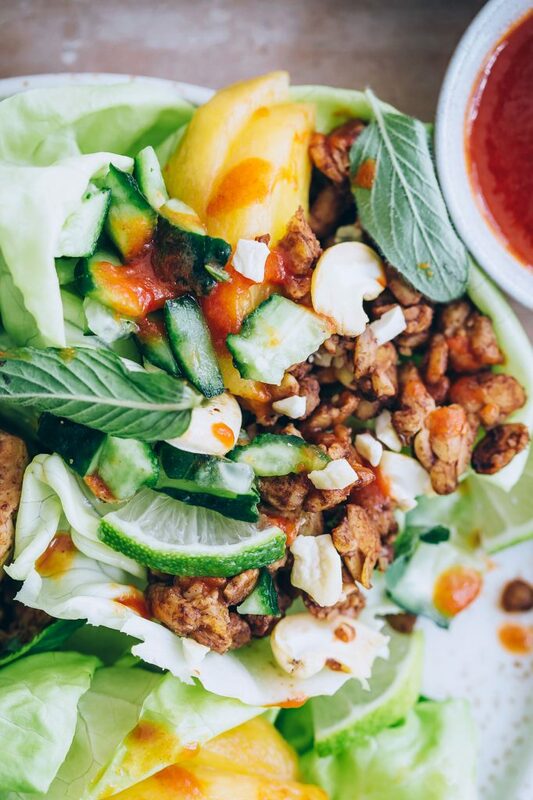 Divide the tempeh, mango, cucumber, cashews and herbs into the lettuce leaves. 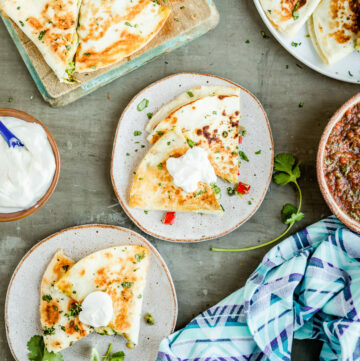 Drizzle with sweet chili sauce or sriracha and serve. 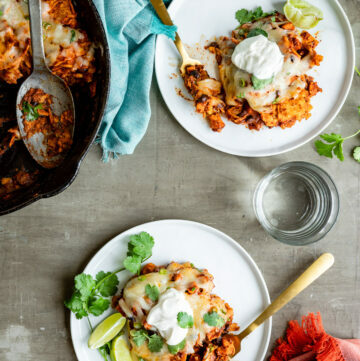 Serves 4 as an appetizer, 2-3 as a meal.